Pizza Express Restaurantisation, but loved by most. 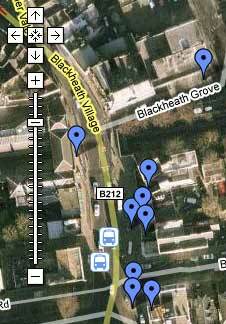 The universally hated bus lane. The Crown: No Jumbrellas please. Locale: Society is annoyed about the planning permission. (Never mind the food). Lewisham Council: Still handing out late night licenses willy nilly. Network Rail: Want to build crap flats next to the station instead of getting the trains to run on time. 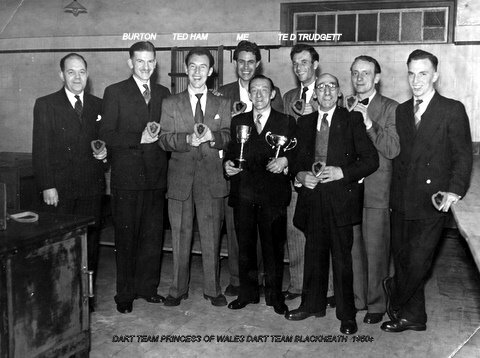 Blackheath Society rightly unimpressed. Library Square: The vultures are still circling. Nobody is prepared to admit who the vultures belong to. Library block: Still very much in favour of knocking down the old library and building something else there it seems. How about another library? Post Office: Society not totally averse to the idea of closing the sorting office. With it will come crappy opening hours for picking up undelivered mail. Here’s an interesting thing. 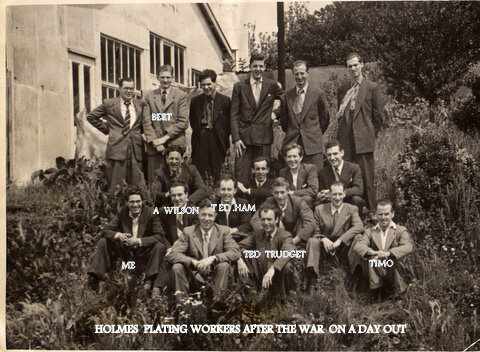 In 1941 Reg Counsell worked for the Holmes Plating Company in Blackheath. He’s 85 now, and has sent in some photos of his time there. One in particular caught my eye – a group of the workers up on the heath. So I went to try and work out whereabouts it was taken. There are so many more trees on the heath now! And for some reason the three windows on the big white house are now blocked up. Maybe blacked out during the war? 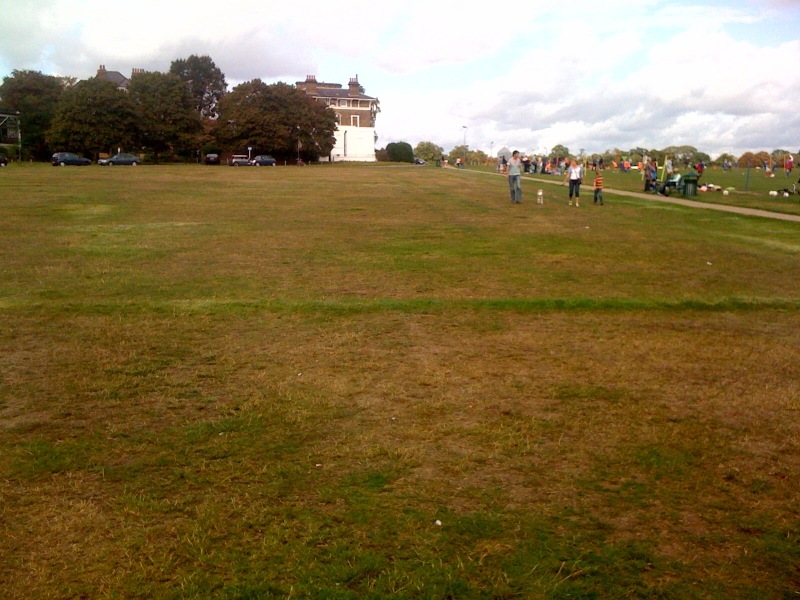 But if that was the case, surely they’d prefer to have a view of the heath now? 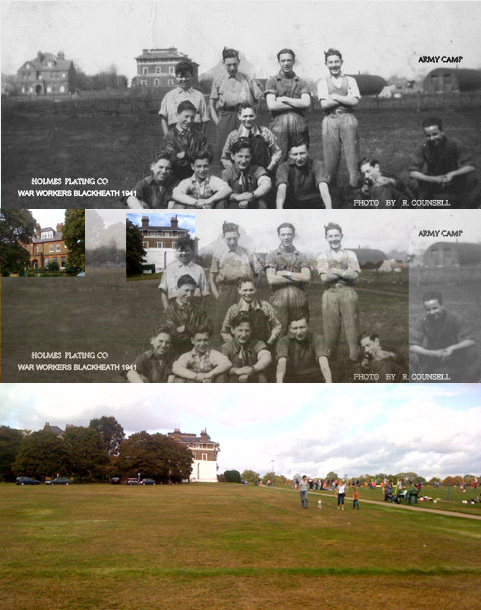 Very odd… Anyway, I’ve made a montage above showing Reg’s photo, and some current images from the heath. 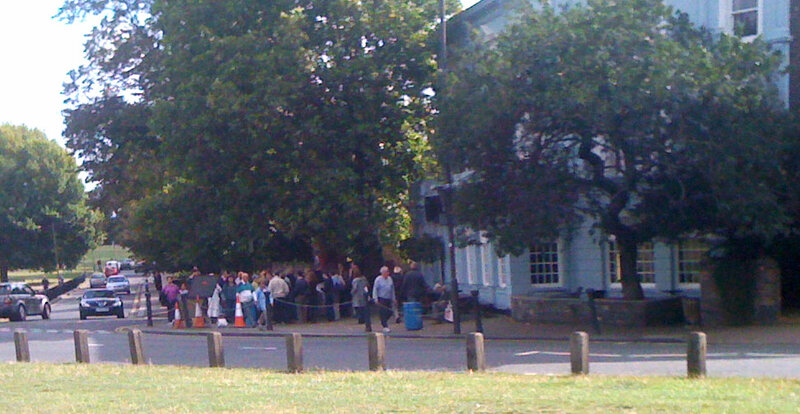 A good 50 or so people outside the PoW for the Blackheath Society’s guided walk (they’re only allowed 30 inside the houses). Much wringing of hands and asking of people to leave. Next time make rice-paper tickets and hide them all over the Heath! 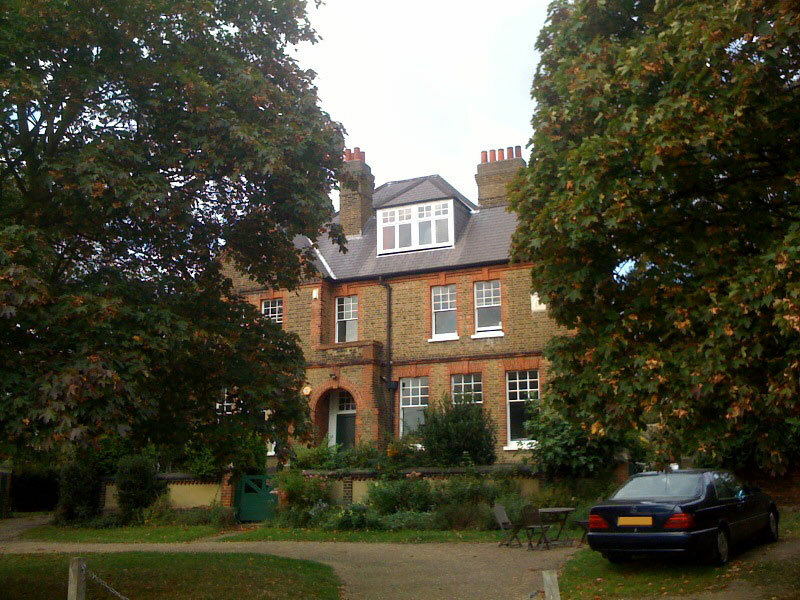 Blackheath Society Vice-presidents Neil Rhind and Tony Aldous will be carrying out a guided walk (same route both days) looking at some of Blackheath’s best Georgian and early Victorian buildings on its south east corner. Meet outside the Princess of Wales’s pub. Walks approx. 1 1/2 – 2 hours. Maximum numbers 30. Tickets (free) available on a first-come first-served basis from 10.45 am (Saturday) and 2.45 pm (Sunday). This should be excellent. Neil Rhind is always an interesting speaker, author of the excellent Blackheath Village & Environs series, and knows more than is healthy about the history of this area! 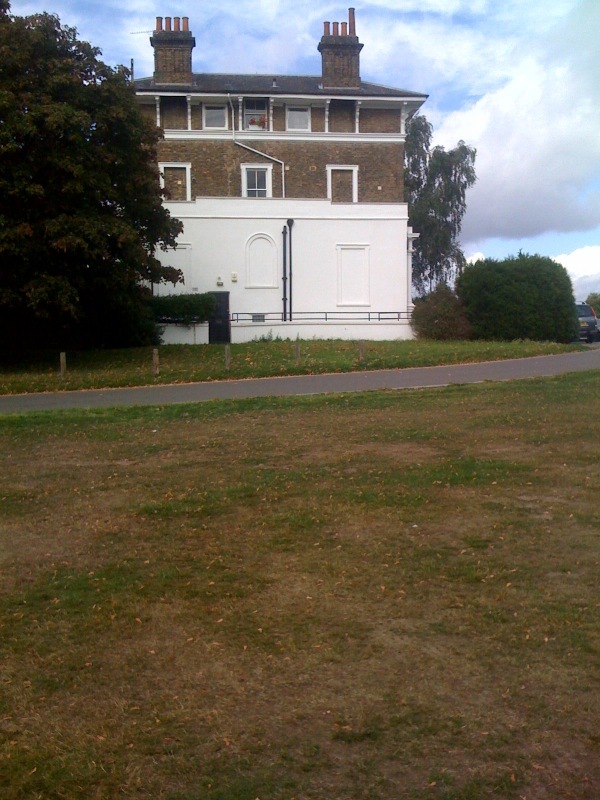 Blackheath Bluecoats School to close? I know next to nothing about schools in this area, I’m ashamed to say. Being just the wrong age – no kids yet, and too old to have have gone to school around here, I try to avoid writing about subjects I have no experience of (hence the endless posts about wandering down the high street). Bluecoats is highly visible on Twitter, and I’d be interested to know your thoughts on this. It’s always sad when a school has problems.